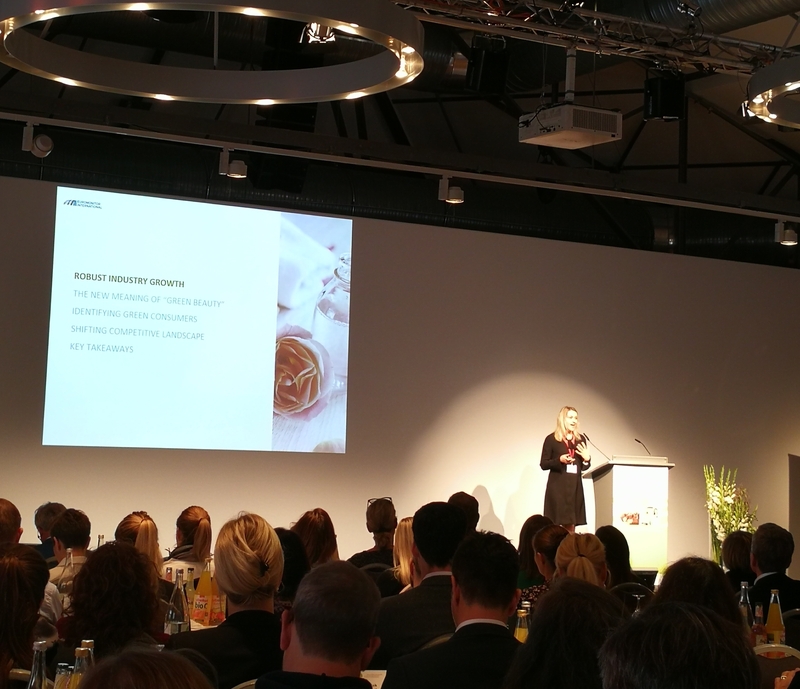 As usual the Branchenkongress opened with Elfriede Dambacher’s overview of the organic beauty market in Germany plus a look back at the past decade – how has the German market for organic and natural cosmetics performed over the last ten years? Dambacher started out with a brief overview of the international organic market. She said that over the last decade, the global beauty retail industry has been changing. The large-scale M&As that have been taking place over the last years – like the acquisition of The Body Shop chain by Brazilian natural manufacturer Natura or the purchase of US organic supermarket retailer Whole Foods by e-commerce giant Amazon – is playing a major role but the further shift towards online retail is also changing the market dynamics. In addition, ingredients safety scandals in various countries have made ethical and green cosmetics much more popular with consumers in general. The organic beauty market is driven by the same global societal and product trends that also affect the conventional C&T sector: i.e. multi-functionality (products that can be used in different ways) or customisation (products tailored to the customer’s specific skin or hair requirements). Plant and herbal ingredients are very popular at the moment but at the same time consumers also demand high product efficiency. Certifications (especially Vegan and Halal) are of key importance. Interestingly enough, many consumers believe that ethical beauty is more important than the organic character of a brand, as witness the on-going international debates about palm oil and GMO (genetically modified) plants. Consumer behaviour and shopping patterns have also changed over the past decade, as have the customer demographics for the organic beauty sector – today’s consumer groups are much more fragmented (and therefore more complex) than ten years ago. Also, Dambacher said, ten years ago German organic cosmetics were global export hits. Today there is more international competition for German brands abroad – not only the expansion of international green brands but also the launch of new domestic beauty brands in many regional markets. Germany market growth: Looking at the organic market in Germany in 2016, the near-natural category (defined as beauty products with a green positioning and some natural ingredients but not even close to certification. Think Yves Rocher, The Body Shop, Caudalie etc.) was growing strongly last year, registering turnover of 1bn which translates into an increase of 7.9%. Certified organic beauty grew 4.5% to 1.2bn Euro while the conventional C&T sector merely registered a slender 1.6% increase to 11.5bn Euro. Dambacher pointed out that although organic beauty has attracted many new consumers over the past ten years and user numbers have gone up, the intense price battle of the individual brands especially in the drugstore sector (hello Alverde and Alterra!) is actually keeping turnover down. The increased presence of international organic niche brands is also driving the market for certified organic beauty. Still, over the last ten year the market volume for organic cosmetics has doubled in size, growing 6.5% year-on-year. And in 2016, 23.1% of all people living in Germany had bought organic cosmetics while 60% of these people repeatedly buy organic beauy brands. However, as indicated by the sales figures above the near-natural market is also growing vigorously – the conventional cosmetics industry is becoming greener every year so the balance is shifting towards the green spectrum. The growth in the near-natural market was also driven by the strong position and effective marketing of mono brands like Yves Rocher and The Body Shop. Germany distribution channels: 40.9% of the retail market for organic beauty belonged to Germany’s thriving and very competitive drugstore sector. Next in line were organic speciality retailers (including organic supermarket chains) with a 13.9% share of the market, followed by Reformhaus health food stores (10%), online and offline pharmacies (8.7%) and perfumeries (8.2%). Large scale supermarkets and hypermarkets registered a market share of 6% and online retail clocked up a 5.1% slice of the market whilst organic beauty specialist retailers accounted for a 3.2% market share, department stores owned 2.3% of the market and beauty salons occupied the last place in the ranking, with 1.8%. From 2007 to 2017 the drugstore market channel has grown a staggering 21%. The perfumery distribution channel has put on 4.2% while online retail grew 4%. The losers in the past decade were the organic food retail channel which lost 9%, Reformhäuser which dropped 7% and the pharmacy sector which dipped 1.8%. The second speaker on the first conference day was Ildiko Szalai from international market research group Euromonitor. Szalai said that we are currently seeing a new consumerism where conscious consumption and sustainable industry standards are of key importance. Customers today tend towards knowledge-based purchasing decisions – this means that they research before they buy, check out a brand’s ingredients, its background and the company behind it. Today’s modern society has almost unlimited online resources and, therefore, access to all sorts of information. This requires the C&T industry (including, of course, the organic beauty sector) to ensure a very high level of transparency as far as brand management and product claims are concerned. Traditionally, organic beauty is associated with clean ingredients, animal welfare, recyclable packaging and so on. However, the modern understanding of green beauty has expanded significantly. Today’s consumers pay attention to aspects like the religious values of a brand, clean label claims, anti-pollution products/ingredients and sustainable manufacturing standards. Consumer demands for clean beauty are high across the world but the demand is particularly strong in the Asia-Pacific region where around 23% of consumers polled said that they were looking for “free-from” (i.e. clean label) beauty products. Europe followed with around 22%, Latin America with just over 20% and the Middle East with around 21-22%. The same Euromonitor slide also showed 2015 market sizes for the clean label/free-from food and beverages sector. The US topped the ranking with around 77bn USD, followed by Europe with around 67bn USD, Asia-Pacific (around 23bn USD), Latin America (around 5bn USD) and the Middle East with approximately 2bn USD. The clean beauty/food movement is, of course, going hand in hand with the health megatrend that is also influencing the international C&T market. Then you have the global demographic shift. Many Western European markets are ageing quickly (as do some Asian countries – Japan, for example). The international emerging markets, on the other hand, are characterised by enormous numbers of young consumers who can afford to buy more brands and products. In addition, there are key environmental trends (particularly in many emerging countries) that are currently influencing NPD (New Product Development) and packaging design: like water-free and water-efficient products (i.e. beauty products that can be used without access to running water or even without water in general), zero waste and recycling. It was fascinating to hear about the hair care sector in water-stressed (or water-poor) countries like the Middle East, Brazil, Indonesia or India – a topic which I know very little about. In these countries, beauty brands need to offer water-efficient products like dry shampoos or foam shampoos. In Japan, a domestic beauty brand recently launched a towel-off shampoo which doesn’t need to be rinsed out. The shampoo markets in Brazil and India in particular are estimated to grow strongly over the next five years, followed by Indonesia, the Iran and Saudi-Arabia. That makes sense, of course; in these countries women (who are the biggest users of shampoos) traditionally wear their hair long and/or covered by headscarves or veils. I imagine that this probably creates a demand for specific hair (and scalp) care products. Szalai also stressed that today’s beauty brand landscape is much more diverse than it was ten years ago. Many new cosmetic brands follow a digitalised retail strategy rather than the classic distribution/bricks n mortar retail approach. The market is dominated by the big mainstream brands – like Beiersdorf’s Nivea or L’Oreal beauty brands – and it is difficult for niche and organic brands to compete against these major players. However, green niche brands have a distinct advantage in the competitive brand landscape, Szalai said. Amongst other things, these small brands are much closer to their customers (and his or her product demands), they also tend to have a stronger innovation pipeline and are usually highly specialised as far as the product concept is concerned. The biggest demographic group for green beauty is young, female and urban (no surprise there!). Consumers in East Asia, South East Asia and the Middle East (basically countries without an established organic beauty market) are showing an especially high preference for natural and organic products. One of the Euromonitor slides showed an interesting list of the most popular added value categories for green beauty in 2016. In descending order, the ranking starts with “all-natural ingredients”, followed by “free-from”, “plant/botanically derived”, all-organic ingredients”, “100% vegan”, “water efficient”, “fragrance-free”, “sustainably sourced”, “recyclable packaging”, “refillable bottles”, “recycled packaging” and “locally sourced”. 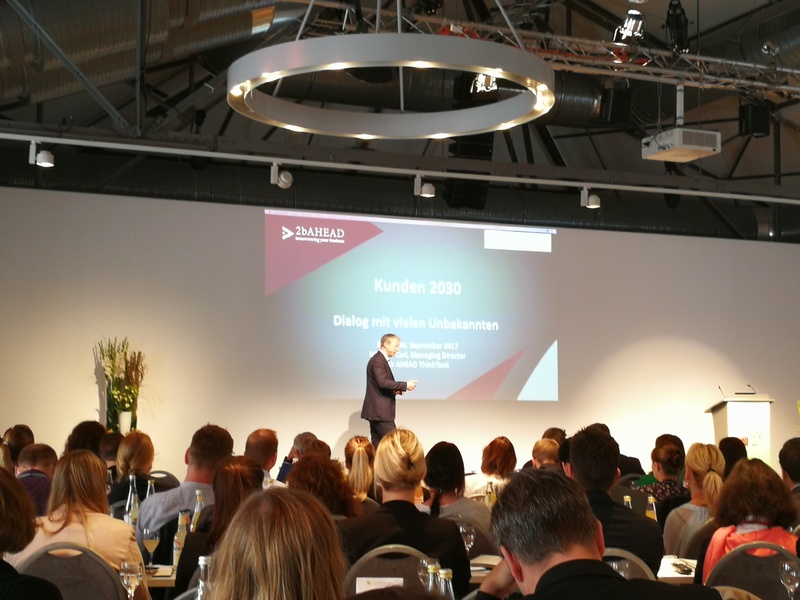 The next speaker was Stefan Bures from German e-commerce market research company Metoda. Metoda was founded in 2012 in Munich and specialises in smart data, pricing information and algorithm analyses with a particular focus on the e-commerce business of online retail giant Amazon. In his lecture, Bures outlined several strategies that beauty brands can follow to work with online retailers and with Amazon in particular. In the Western countries, Amazon is more or less synonymous with e-commerce. No stationary retailer can afford to ignore the presence and market influence of Amazon – the Amazon group is simply too large. Although the actual number of Amazon customers hasn’t really grown that much over the past few years, Bures said, the number of Amazon Prime customers has. The market dynamics have also changed significantly: many customers use Amazon as the starting point for their product research. While in 2015 only 44% of consumers began their product search on Amazon, this number reached 55% in 2016. As far as distribution channels in the German C&T market are concerned, drugstores and online retail are driving the market’s turnover with increases of 7% and 10% respectively. In the online retail sector in Germany, one of the biggest beauty platforms in 2015 was douglas.de (the web store of German perfumery market leader Douglas) with 175.5m Euro turnover. The online store of German supermarket discounter chain Lidl racked up turnover of 150m Euro while supermarket retailer Real registered online turnover of 47m Euro. Finally, parfumdreams.de – another beauty online store – clocked up online turnover worth 44.2m Euro. Within Amazon.de, cosmetics are actually the product category that has been growing the slowest. However, according to Metoda’s estimate beauty turnover on Amazon.de will reach 250m Euro in 2017. Bures then presented an overview of the most popular organic beauty brands on Amazon.de. Although, of course, all the big German brands (like Dr. Hauschka, Lavera, Sante, Speick and Weleda) are listed on Amazon, the bestselling labels in the natural beauty category were actually niche beauty brands. Most of the brands I’d never heard of – like Rosense (which, ironically enough, I’ve saw in a DM drugstore just last week; it’s one of their new brand listings), Greendoor, Veana and Gaya Cosmetics. This is not particularly surprising; the big brands have a very large distribution in Germany – unlike many organic niche brands, which often find it very difficult (or even impossible) to get a listing in Germany’s big organic supermarket or drugstore chains because the established brands there are dominating the market. But that’s is a different topic. Anyway, to be successful on Amazon, Bures said, a brand needs to pay attention to the following points. Besides things like product price, availability and product performance, key aspects for success on Amazon are things like content (good pictures and descriptions), customer product reviews (very important indeed!) and marketing. There are two ways for a brand to sell on Amazon: as a seller (on Amazon marketplace, as a third-party seller) or as a vendor (a first-party seller). Both ways have advantages and disadvantages. On the plus side, your products are listed on the leading Western online retailer (another aspect is internationality: you have automatic access to Amazon’s international customers who can order your products through their regional country site), an almost guaranteed customer demographic (most Germans already regularly buy stuff on Amazon) and, of course, your product turn up early when a consumer researches a new product – remember, 55% of Germans begin their product research on Amazon. Drawbacks include a certain danger of dependence on Amazon, pressure on price margins and competition from other retail channel and even from own label products. And although selling on Amazon is easy, you still need to devote time and energy to things such as efficient use of keywords, product placement and a general understanding of how the whole digital sales process and the Amazon ecosystem works. The keynote speaker on the first day way Michael Carl from German think tank 2b Ahead. It was an excellent, very dynamic presentation about change in all its iterations (societal change, technical change, digital change) and what the future might hold in store for us. I tried to type along as fast as I could but with limited success – I was also busy googling the intriguing examples of future tech that Carl mentioned in his presentation. So you’re getting highlights from Carl’s lecture, including links to some technical/digital innovations which are happening right now (even if a few of them sound like they’re straight from a sci-fi novel!). Carl opened his presentation by saying that changes always follow an exponential curve (tomorrow is always going to be faster) and that never again will the world change as slowly as it does at the moment. Also, changes never work really well at the beginning – vide Tesla car’s PR disaster. However, a product that fails at first will later succeed all the better – the initial mistakes will be fixed and the product developed until it is functional and successful. An example of a break-through technological invention: a brain wave tracker which (apparently) can be ordered on Amazon for 250 USD. The gadget works by attaching electrodes to your skin/scalp. The logical further development for this kind of technology would be to develop a device that reads your brain wave emissions from a distance. Another example from the real world – „Brainternet“: check it out on NeuroscienceNews. Then there is Smart Retail. An example of this trend is Google’s retail mapping “Project Tango” which the tech giant developed in cooperation with US in-store mobile marketing platform aisle411. Here are some links on Project Tango: Article on BusinessWire / Article on Fierceretail.com / Article on SmartInsights.com. Now let’s move on to Artificial Intelligence (AI) and its manifold applications in – well, just about any industry. Carl gave the example of US company Sentient who created an AI platform based on neural network technologies (“deep learning”) and evolutionary computation technology. And German digital tech company Blue Yonder is already offering AI-based applications for retailers. Here is an example from the automotive/technology sector – this is how technology developments in the future could look like. IT experts from German Volkswagen group are using quantum computers to develop an algorithm that optimises traffic flow in heavily congested cities. This program would register all motorised vehicles that participate in a city’s traffic (private cars, lorries, taxis) and calculate the optimal route for each vehicle to reach its destination as quickly as possible and without getting stuck in traffic. Another already existing technology is “predictive enterprise”– check it out here on Huffington Post oder on CIO.de. Carl also said that the „premium of the future“ will be products and brands that demonstrate how sustainably-minded, rich, amazing and unique someone is merely by the fact that he or she has bought a particular brand or product. And these products need not necessarily be expensive – as long as they are unusual or, even better, unique. Another technology that is already here: 3 D printers for houses – like this company here: Contour Crafting. Here is another example of future technology: implantable tech which is a direct consequence of the current trend for body/health optimisation. And there are companies, like Bioviva, that already specialise in “longevity science”…! 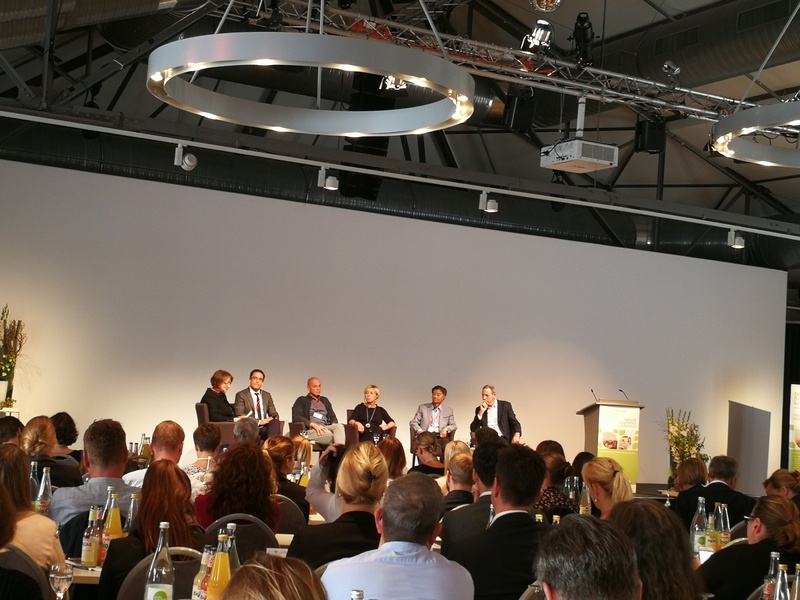 The first panel discussion of the Natural Cosmetics Conference centred on the changing demands of customers and how retailers can (or should) handle this. It was really interesting; the speakers came from such different industry sectors – online retail, bricks n mortar stores, from the US indie brand industry, from the natural retail sector in Hong Kong. 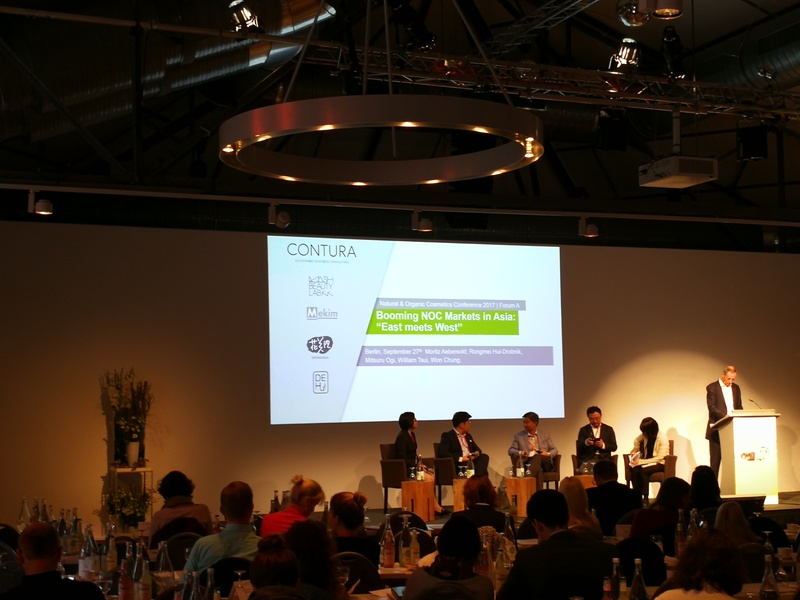 The panel included William Tsui from natural products manufacturer Mekim in Hong Kong; Nader Naeymi-Rad, co-founder of US beauty trade show Indie Beauty Expo; Roland Fink, the founder of Austrian e-commerce retailer NiceShops/organic online store Ecco Verde; Corinna Müller from the organic beauty division of German drugstore retailer Müller and Moritz Aebersold from Contura Consulting in Switzerland. I tried to transcribe as much of the discussion as I could but missed a number of questions from the panel chair (although I did record most of the answers). So this transcript is a kind of listing of sound-bites and information snippets from various industry experts. Enjoy. Corinna Müller: We opened the first Müller Naturshop in 2011, in Bad Kreuznach. Naturshop is very much a specialist retailer. Roland Fink: Ecco Verde has a turnover of 15m Euro. From the beginning we tried to avoid the big organic brands; our strategy was to list small and local brands for each of your regional markets. Nader Naeymi-Rad: Our definition of Indie is that at least 50% of the company must be owned by the people operating the brand. Indie brands – no matter whether they are organic or conventional – are growing 20-30% in the US market. They currently account for 7% of the general US beauty market. The demand for indie brands is huge. Retailers are also seeing that and that is why they visit our Indie Beauty Expo. Moritz Aebersold: In future there will be more competition between start-up and indie brands. The different retail formats are also going to change as a result. Corinna Müller: Every retail channel has the right to exist but of course you also have to react to changes in the market. And this might mean that you have to innovative and change existing retail channels. However, the specialist retail channel still has something which many other distribution channels don’t have: expertise and product consultation. Nader Naeymi-Rad: Indie Beauty Expo recently worked with US department store retailer Neiman Marcus who wanted a niche beauty brand portfolio; including some exclusive brands that no one else offers. Innovation is important and brands need to find a way to give their retailers something special, so that they are happy to promote the brand. Roland Fink: Our brand selection is primarily based on what our customers want. Ecco Verde once asked its customers from Germany, Austria and Switzerland what they thought was the best organic beauty brand – and everyone named brands from their own countries. This is why we offer so many local brands for each of our country markets. William Tsui: Consumers in Hong Kong like to try out new brands, but most new brands are from Korea. Korean beauty brands are very aggressive in their foreign markets and this creates a lot of brand competition. Moritz Aebersold: It is important that retailers differentiate themselves with their product portfolio and also their retail channels. Part of the turnover will go to online retail, that’s almost unavoidable, but all distribution channels have a chance if they tackle the changing retail situation with new ideas and concepts. Nader Naeymi-Rad [on asked whether Amazon makes things more difficult for beauty retail? ]: For the mass market perhaps; but for premium it is more difficult – premium brands are more expensive and generally have a more exclusive strategy so they are not always a fit for Amazon. Life for retailers has certainly become more complicated. Roland Fink: Ecco Verde will soon open a retail store in Graz to test out how beauty products can be presented in a bricks n mortar store. Corinna Müller: You have to meet the customer halfway. Some people have grown up with organic beauty, other haven’t. As a retailer you have to be able to handle all of these different consumer groups. William Tsui: It is the role of marketing to communicate to the customer that a product is real and not fake. In the stores it is very difficult to distinguish real from fake. Final remarks from each panellist when asked where customer will buy organic beauty in five years’ time, online or offline? William Tsui and Roland Fink: They will purchase products in both channels. Corinna Müller: They will buy in retail stores first and when they can’t find a product or brand they will order it online. Nader Naeymi-Rad: They will discover beauty brands in retail stores and then buy them online. Alan Campbell from the UK’s The LCA Centre spoke about the environmental impact of packaging and packaging life cycles – a very interesting topic and one which I personally hadn’t really thought about. I mean, recycling stuff is always a good idea, right? Actually, no, it’s not; at least not necessarily. LCA (Life Cyle Assessment) is a method to identify and quantify materials in terms of energy use, material use, waste and emissions. Campbell said that often packaging has environmental claims that are either accidentally or intentionally false. And is recycled packaging always better than “new” packaging? Well, it turns out that recycled packaging can actually pose a risk, especially in the food business. When recycled material is mixed with new material it can contaminate the new packaging. Sometimes specially treated materials that have been manufactured to make recycling easier can also contaminate the products. Composting is permissible if it is proven to be circular – this means that’s it’s ok to compost waste that turns into nourishing compost or mulch. However, if there is no nutritional value in the ompost material (if, for example, you are composting materials that have no nutritional value for the plants you want to use the compost for) or if composting doesn’t release any valuable material or energy, it is actually pretty pointless and other recycling methods might be more effective (and less detrimental) from an environmental perspective. The last lecture of the day was from non-profit marine conservation organisation Sea Sheperds who runs The Marine Debris Campaign. Anne Kämmerling from the German Sea Sheperds association talked about how cosmetics packaging debris is landing in the ocean and that it is estimated that 100-150 million tons of plastic debris is contaminating the world’s oceans. Much of the debris comes from emerging and developing countries that do not have a significant waste removal system. In the industrial countries 80% of the plastic debris comes by way of rivers and more than 1 million birds die through plastic ingestion every year. Micro/nano-sized plastic particles are eaten by fish, crustaceans and other sea creatures and from there can enter the human food chain. There are no long-term studies of the effects of these plastic particles yet but they do contains traces of ingredients like PCB, heavy metals or mercury which are cancerous and can cause liver damage. Sun care has become another threat for the oceans. Chemical sun protection filters like oxybenzones which are often contained in sun creams and lotions is washed into the ocean. These oxybenzones can affect coral reefs which are then starting to die off. This particular problem was only discovered a few years ago; it’s a fairly recent threat. Zinc or titanium dioxide, which are used in organic sun screens are less dangerous but there are still not enough studies and data to confirm this. The first lecture of the second day focused on how digital technology can be applied to product packaging design, with some fascinating examples. The speaker was Karel Golta from Hamburg-based consulting company Indeed Innovation. Golta opened his lecture by saying that digitalisation combined with the rapid evolution of technological possibilities is allowing manufacturers to create completely new and interactive packaging concepts. Traditionally, product packaging is designed to protect a product, convey product information (the text printed on the bottles or jars or on the outer packaging) and make it easier to shop and store a product. The new type of digital packaging can make product packaging much more user-centric but it also requires a proper UX (User Experience) design. Golta said that in 2025 around 75% of the working population will be millennials. Millennials (defined as anyone who was born around the year 2000) are a finicky product group: these consumers have grown up with digital technology – they are well-informed, demanding, affluent and happy to spend money but they are also individualistic. This user demographic is the future of consumer goods and cosmetics. Printed electronics (also called “smart packaging”) is a strongly growing market. Today the worldwide smart packaging market is worth around 75m USD. In 2020, however, this packaging sector is expected to reach 40bn USD. And now we have the first example (and one of my favourites! ): The “Kit Mail Hologram” (seriously, google this term and watch the video; it is so worth it!!) from Japan. These are special good-luck packs of Kit Kat chocolate bars launched in Japan around the time of school and university exams. The Kit Kat pack can be mailed through the post office and includes the usual Kit Kat chocolate bars but also a peel-off foil. Remove the foil, attach it to the screen of your smartphone and scan the enclosed QR code. The code leads you straight to a video site and starts playing a good luck music video by a Japanese band. And here is the cool thing: the special foil turns the film sequence into a 3D hologram. It does, really! A major new smart packaging technology is NFC (Near-Field Communications) printed packaging technology. Golta said that this technology can be used to protect premium brands by encapsulating information on a NFC chip (which is embedded in the packaging). The consumer then scans this chip with his or her smartphone and when the correct information is released, they can be certain that they have purchased an original product. Check out these articles on Venturebeat and NFC World! And here is another example: in the US, apparently, you can buy a portable makeup mirror that can be connected to the local wifi. You can then use a smartphone app to activate different lighting schemes in the mirror (day light, artificial light, night-time, candle light) so you can see what your makeup will look like in these light scenarios. Golta then showed some examples of how POS and product packaging can be turned interactive so they draw consumers into stores or to a brand – and here you have the UX angle again. Imagine you walk along a product aisle while a visual overlay (generated, for example, by NFC chips embedded in product packaging or attached to shelves) shows you the social media rankings and customer reviews of individual products. On the second day of the Natural Cosmetics Conference, attendees could choose between two panel discussions – one of these panels traditionally centres on a retail topic, the other on raw ingredients. This year the choice was between a debate on the organic beauty markets in Asia (Forum A: Booming markets: East meets West) and a discussion on raw materials with a focus on Africa. (Forum B: From Fairtrade to Real Trade). Of course I attended the Asian organic markets! The panellists included Mitsuru Ogi from organic perfumery chain Cosmekitchen in Japan; Won Chung from OneWave (the German distributor of organic beauty brand Whamisa) from Korea; William Tsui from natural products manufacturer Mekim in Hong Kong) and Rongmei Hui-Drobnik from De Hui, a market expert for Asia. I was typing along like crazy during the panel discussion to try and catch as much info as possible but, again, this is not a complete transcript (see my remarks further up the text!). [A note about Cosmekitchen (in case you’re not familiar with the retailer): Cosmekitchen is an organic perfumery chain from Japan which was founded in 2014 by Mash Beauty Lab. This store chain has shaped the organic beauty retail market in Japan (which wouldn’t be as well developed without the presence of Cosmekitchen) and they are one of the key market drivers – I’d even say they are THE market driver in the organic beauty retail market in Japan. Cosmekitchen stores are beautifully designed and always located in up-market shopping centres, high-footfall city centre locations and other busy urban areas. Mash Beauty Lab also operates another organic store chain – Biople – which also sell organic cosmetics in addition to natural foods. Rongmei Hui-Drobnik: The number of new brand shops in mainland China is constantly growing; there is a strong demand for cosmetics with natural ingredients. Aafter all, China has a well-established TCM (Traditional Chinese Medicine) tradition. European natural brands are often perceived as a competition for Chinese herbal beauty brands. The functional cosmetics sector is also growing in China. The country has no official definition of what constitutes organic beauty but European brands – like those from France and Germany – are very popular in China. Won Chung: Korean C&T manufacturers are trying to become more international and expand into Europe and the Western countries. At the moment many mid-sized companies and new brands are appearing on the Korean beauty market and they tend to grow very strongly – there appears to be a customer demand for a bigger brand selection and new products. Willian Tsui: There are so many new brands that are appearing on the market in HK and China, and consumers are getting confused about what exactly natural and organic beauty is and how it differs from green-positioned brands. Mitsuru Ogi: Cosmekitchen sells around 100 domestic and international organic beauty brands. Japan doesn’t have a clear definition of what constitutes organic beauty, at least not yet. One of the most important purchase criteria for organic consumers is whether Cosmekitchen sells a specific brand or not; they trust our brand selection. As far as brand sourcing is concerned, Cosmekitchen selects new beauty brands based on the quality of its ingredients (even if the brand is not certified organic). Fragrances and textures must also be suitable for the Japanese market and the domestic consumers. Won Chung: One reason for the growing popularity of natural and organic cosmetics in Korea is the consumer’s wish for sustainable and safe products. Around five years ago there was a big ingredient scandal in Korea and since then, many consumers have started to think about what and how they buy consumer goods. The Korean beauty market is saturated by our many domestic brands; the big cosmetics groups invest heavily into brand marketing and brand development. For many customers, the huge range of brands and beauty stores is almost overwhelming and can make it difficult to orient themselves, especially where natural cosmetics are concerned. For European brands who want to enter the Korean market it is of vital importance to find a solid domestic distribution partner and invest into the right type of marketing activities. William Tsui: There is definitely room for new brands in the Hong Kong market. [Just like in Korea], European brands need to make sure that they choose the right local partner to help them market their brand in Hong Kong. Intensive advertising across different media channel and in-store promotions are especially cost-effective. Mitsuru Ogi: Our profit margin is actually not very high because Cosmekitchen is investing into promoting the brands we sell – social media activities are especially important for us. A few years ago, Cosmekitchen decided to launch their own organic beauty brand, F Organics [NOTE: Since then, Cosmekitchen has launched a second own label brand, Celvoke, whose pricing and product design is seriously premium!] which has become one of our bestselling brands in just one year. Rongmei Hui-Drobnik: A number of European organic beauty brands are not really suitable for the Chinese market – primarily because of fragrances and textures. Many European brands are too rich for Asian consumers; they are not suitable for the local preference of layering skin care products. Mitsuru Ogi: Weleda’s sun protection range which was especially developed for the Japanese market is selling very well in Cosmekitchen – the textures are ideal for the Japanese climate and the fragrance is also tailored to the Japanese taste. William Tsui: The retail price level for natural cosmetics in Hong Kong and Asia is much higher than in Europe. Mitsuru Ogi [agrees]: I am especially impressed by drugstore retailer DM’s Alverde brand – a certified organic lip balm for 2 Euro. In Japan the equivalent lip balm would cost 20 Euro. A low-price organic brand from Germany (or Europe) would have great success and a lot of possibilities in Japan. Won Chung: At the moment, many Korean consumers still prefer to layer skin care. However, over the next few years there will be more multifunctional products and this trend will make layering less important. And this, in turn, is a chance for European beauty brands. Rongmei Hui-Drobnik: Environmental pollution in China has led many Chinese customers to buy European organic beauty products which are considered safe and healthy. William Tsui: Consumers want quality products and German-made products have a high reputation in Asia. The “made in Germany” claim is important. Rongmei Hui-Drobnik: Once the animal testing regulation in China has been abolished, any German beauty brand (not matter if great or small) will have retail opportunities in China. Won Chung: There will be more organic speciality stores in Korea that sell and distribute organic beauty brands. Wiliam Tsui: Consumers like new products but the problem is how to ensure their loyalty to the product quality? Marketing is a very important step for natural beauty brands in Hong Kong. Mitsuru Ogi: At the moment, Cosmekitchen is working with the Japanese Ministry of Economics on an organic certification standard. The next lecture was given by Kay Hafner from consulting company Digital Change & Strategy who spoke about “The revitalisation of brands amidst digital transformation”. 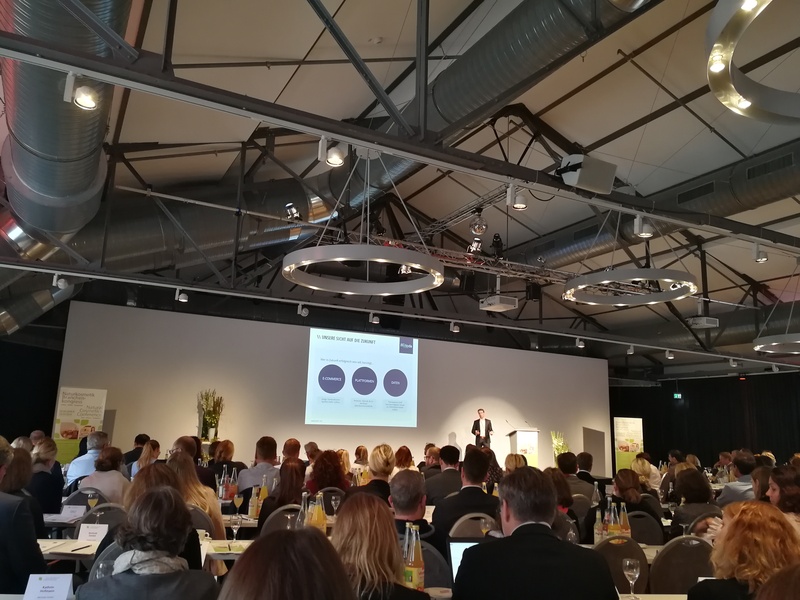 Towards the end of the lecture, Berlin-based digital market research company POS Pulse presented some fascinating real-time shopper insights on organic beauty (as I mentioned before on this blog, I love me some market research!!). POS Pulse has a Europe-wide network of beauty fans (students, consumers, freelancers, anyone who has a smartphone and wants to earn a little extra money). The company send out specific market research request (focus on certain brands, stores, products) or surveys through their shopper app (and with so many people on the ground you can get some really detailed input, focus the research on certain geographic regions or distribution channels; and with a very fast turn-around time). The shoppers get a notification on their smartphone and can then immediately participate in the research. In preparation for Hafner’s lecture, POS Pulse had sent out a survey on “usage of organic beauty” to a group of their German shoppers, asking them to agree to certain statements. The results were as interested and as expected: every 4th person surveyed used organic cosmetics for at least 50% of their beauty needs; the most popular product categories for organic beauty purchases were body care, soap & shower products and then hair care and skin care. 44% of the shoppers said that they had started to buy organic beauty because they wanted to try out something new. 81% bought their organic beauty at the drugstore and the favourite brand was, of course, Alverde. 50% said that their reason for trying organic beauty was that they had sensitive skin while 48% wanted cosmetics formulated without animal testing. 70% paid close attention to ingredients and 60% said that they were trying to avoid certain ingredients. And every fourth person would be happy to pay a few Euro extra to get an organic product rather than its conventional equivalent. Finally, the last panel of the conference was about the future-oriented development of natural and organic cosmetics. 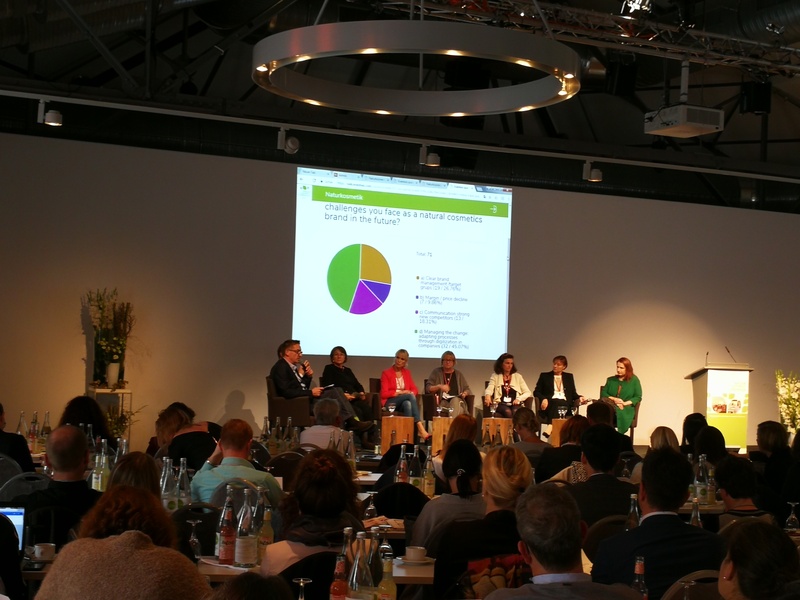 Panellists include Pascale Brousse from French trend research company Trend Sourcing; Elfriede Dambacher from Naturkosmetikkonzepte Verlag in Germany; Kay Hafner from Digital Change & Strategy;, Kerstin Czermak, Brand Manager Non-Food for Swiss supermarket retailer Coop; Gabriele Fuchs from German beauty PR portal Beautypress; Tamara Sedmak from US trade show Indie Beauty Expo; and blogger Justyna Grund from JUSTiBeauty Blog in Switzerland. For reasons of space I am not giving a transcript of my notes here; I covered my two favourite panels and now my hands are tired. This article has turned into a 7000 word feature after all. Hope you enjoyed it! And that was the Natural Cosmetics Conference 2017! 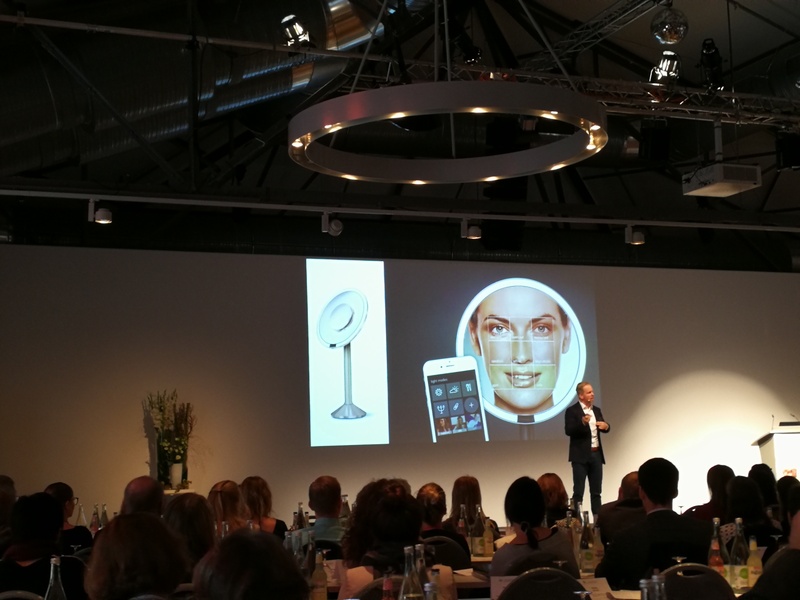 I really liked this year’s highlights on digitalisation and technological innovations and, of course, the key focus on retail and the Asian organic beauty markets. Also, I just looked at the list for 2012 (there were some 150 names and almost all of these were from the organic beauty industry) and compared it with the 2017 attendee register which lists just over 230 names, including many people from outside the organic sector (i.e. from conventional beauty brands and companies). Every year, the number of attendees at the Natural Cosmetics Conference has gone up and there are more international conference visitors. This shows how important the Branchenkongress has become for the organic industry in Germany and Western Europe (and deservedly so!) but the increasing numbers also indicate the on-going influence of organic beauty on the C&T market in general. This is no surprise really; conventional cosmetics are becoming greener every year and I bet it won’t be long now until one of the big mainstream C&T manufacturers (L’Oréal, I’m looking at you!) will launch their own organic beauty range . After all, L’Oréal has already made a good start with the Garnier Skinactive range which was launched in Germany and Europe last month. The next Natural Cosmetics Conference will take place from 26th-27th September 2018.